$20.00 per hour/ prime time, Monday - Friday 5:00 p.m. - 8:00 p.m. Early Bird ----------$8.00/ hour between 6:00 a.m. - 9:00 a.m.
Racquetball and squash play is available free of charge to Y members and for a small fee to non-members. The Montgomery County Family YMCA's Carder Indoor Tennis Center was redone 2015/2016. New LED lighting, new tennis nets, and new paint including USTA 10 and under line were added. The Tennis Center is open during the facility's normal operating hours and includes 4 tennis courts and a racquetball/squash/wallyball court available for play. Tennis courts may be reserved up to 14 days in advance and can be rented on a ½ hour or hourly basis. Court fees depend upon the time of day the court is used. A Ball Machine and Hitting Wall are also available for specific fees. The Y offers a variety of tennis programs that take place throughout the year including league play, clinics for youth & adults, youth summer program and tournament play. League play consists of the four 8-week long sessions and a spring session that is 4-5 weeks long. Clinics are offered four times a year in 6-week sessions by instructor Rudy Kinard. Mr. Kinard has an extensive background in teaching tennis to all age groups. He taught in Atlanta, Ga. at several country clubs and also served as Head Pro at the St. Marlo Country Club for fourteen years. He has been teaching private lessons in Red Oak for the past 14 years. Mr. Kinard also offers adult and youth private, semi-private and specialty group lessons. Youth Summer Program meets for six weeks in the months of June and July. These group lessons are open to youth ages 4 and up. Youth are taught the fundamentals of the game, match strategy and advanced players get the opportunity to travel to Omaha for interclub matches. Beginning on Sunday afternoons in mid-November and continuing through March, the Y will allow members the opportunity to play tennis FREE during specific times. Two tennis courts will be set aside each Sunday afternoon from 4:00 - 6:00 p.m. Members may only reserve court time for ½ hour at the front desk on Sunday. Members may have a non-member play with them but the non-member will have to pay $5.00 (in addition to the day pass fee). 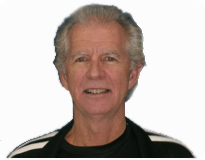 Mr. Kinard has an extensive background in teaching tennis to all age groups. He has taught in Atlanta, GA at several country clubs and was also the Head Tennis Pro at the St. Marlo Country Club for fourteen years. For the past 14 years, Rudy has been teaching private lessons in Red Oak. Mr. Kinard also offers adult and youth private, semi-private and specialty group lessons.